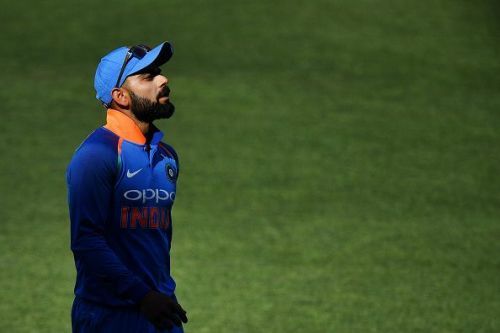 Virat Kohli is getting rested for the last two ODIs and the entire T20I series against New Zealand for reducing his workload. The 'captain aggressive' had contributed so much with the bat during 2018. He broke some records in the year, becoming the fastest to reach 10,000 ODI runs. He won three ICC awards - 'ICC Men's Test Cricketer of the Year', 'ICC Men's ODI Cricketer of the Year', and 'ICC Men's Cricketer of the Year' for 2018. Undoubtedly, this is a result of his sheer hard work during the whole of 2018. He got the series win by winning the first three ODI games. It is good to rest him as he has to be fresh for the World Cup. He would be expected to give his everything to lift the cup which India won way back in 2011. Kohli's absence might be a benefit for a few players. As he is someone who overshadows almost everybody, it is evident that his absence would give the spotlight to certain players who would otherwise be invisible. Virat Kohli is a batsman who strikes fear on any given opposition bowling line up. His impressive achievements over the last one year alone are sure to give jitters to even the best bowling line up in the world. While he had been amazing during the last three ODIs, scoring a total of 148 with an average of 49.33 which includes one 50+ score. 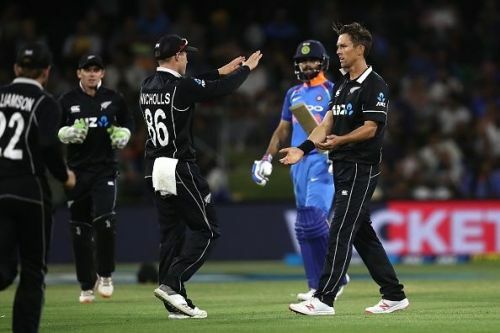 Without the series winning captain, there is a small glimmer of hope for the Kiwis. Now let us take a look at three players who are likely stealing the spotlight.